To the surprise of no one, the Patriots and Tom Brady are still good after all. At the 14:44 mark of last Sunday's 36-20 Pats' victory over the Saints in New Orleans, Brady accomplished something he'd never done before in his greatest-of-all-time career--he threw his third touchdown pass of the first quarter. Leave it to Brady to still be setting new standards of excellence in his 18th year in the league (regular-season game No. 239, to be exact). At this point, the list of things that make Brady the undisputed G.O.A.T. at the quarterback position is far too long to mention. 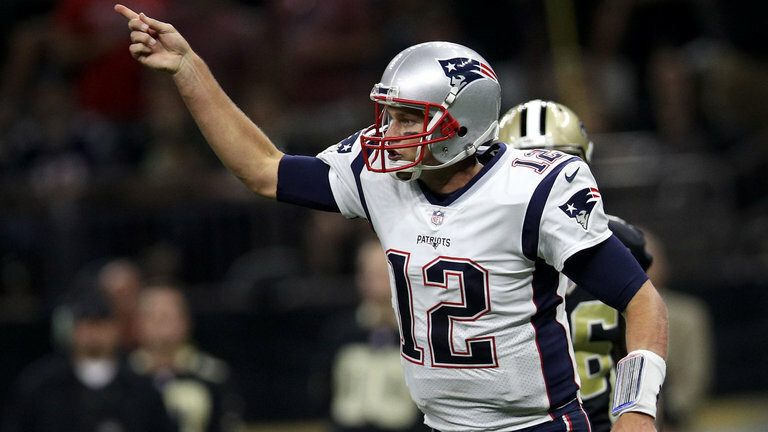 Sadly, Brady didn't keep that pace up for all four quarters and finish with 12 TDs against the Saints. In fact, he never even found the end zone again. However, his 30 completions on 39 attempts, 447 yards passing and three touchdowns were still good enough to earn him AFC Offensive Player of the Week honors. It's the 28th time in his career Brady has won that award, more than any player in league history. Brady had previously been tied with Peyton Manning for the most of all-time. Unfortunately for Manning, it's the second time this week Brady has surpassed him for an NFL record. Brady threw three touchdowns with zero interceptions for the 52nd time in his career on Sunday. Nobody has ever done that before. Manning did it 51 times. A quick look at this week's NFL odds shows the Patriots favored by 13.5 points over the Houston Texans. Consider how absurd that is: New England has a 40-year-old quarterback and only one healthy wide receiver (Brandin Cooks) who wasn't even on the team last year. The Pats' defense has allowed an average of 31 points through two games and they're going up against a team that won its division (and a playoff game) last season. And still, the Patriots are expected to win by nearly two touchdowns. After Houston comes to town, three of New England's next four games will be against the NFC South. The Pats host the Panthers, then travel to Tampa to play the Bucs, then come back home two weeks later (following a visit to New York to take on the 0-2 Jets) for a Super Bowl rematch with the Falcons. Those three NFC South squads are currently a combined 5-0. New England then has three straight matchups with the AFC West, hosting the Chargers, traveling to Denver, then back home for the Raiders. That's a very tough stretch over the next eight games, and chances are there will be multiple occasions when people once again speculate about the end of the Pats dynasty. However, five of the Patriots' last six games are AFC East matchups. That's when they'll roll to yet another division title and one of the top seeds in the conference.